Pottery Barn perfect patio home in the Cottages at The Broadlands. 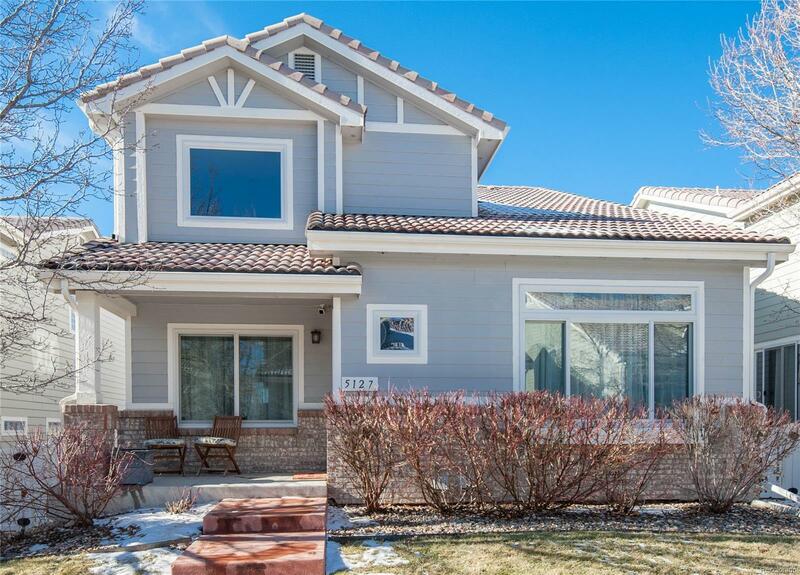 Enter from your covered front porch to hardwood floors, vaulted ceilings and tons of light. Formal dining plus eat-in-kitchen with a beer tap and sliding doors leading to your private, fenced garden with a flagstone patio, hops, strawberries and mint. Upstairs are 3 bedrooms & 2 baths. The large master has a walk-in closet and a reading nook. This home features Anderson windows, Aprilaire humidifier and Venetian plaster in the guest bath. Enjoy the 2 community pools and multiple parks for the children. 20 min. to Denver & Boulder 30 min to DIA. Walk to Plaster Res., golf, rec center, Le Peep shopping & schools.